California's leading transplant producer. Greenheart Farms is a diverse grower of young vegetable, fruit, herb, ornamental, and restoration plants. Since 1979, we’ve been dedicated to making our customers successful. Whether it’s developing new products or production techniques, we consistently strive to exceed your expectations for customer service and provide you with the highest-quality plant material. 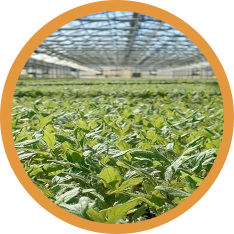 As a high-volume greenhouse grower, we can supply your farm or nursery with high-quality product to meet your exact specifications. Subscribe to our Newsletter - Coming Soon! 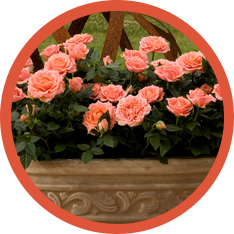 Your Trusted Rose Connection® Greenheart offers healthy, high-quality rose starter plants, award-winning genetics, and state-of-the-art cultural advice. 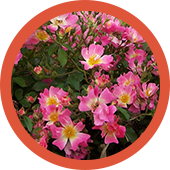 Our roses are grown on their own root, making them naturally hardier than grafted plants, and they are shipped actively growing. For over 35 years, Greenheart has produced vegetable & herb transplants in a variety of plug sizes to accommodate your specific requirements. 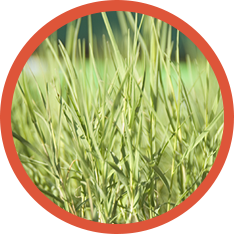 Our expert sales representatives will discuss these factors with you to help you select the appropriate tray for your crop application. 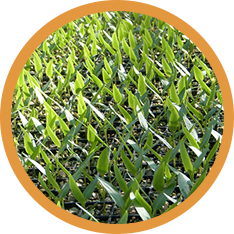 With experience in gathering native stock and growing transplant plugs for large restoration projects, Greenheart can produce precisely the plant material needed for projects of any size. From water conservation, green packaging, employee relations, recycling and waste prevention, to efficient land usage and community involvement, Greenheart Farms has always been an environmentally-conscious pioneer in the agriculture and horticulture industries.